So, myself and Tim Richardson (@geeky_tim) arrived at the Institute around 9.30am. Signs for the Raspberry Jam were already out and we met Andy Batey (@AndyBateyPi) at the main entrance to the building. Andy has been fantastic with this and the last Jam – tirelessly working behind the scenes to get the venue sorted out and turning up at an ungodly hour to put signage up. He’s also responsible for arranging the live streaming of the event and recording all the lecture theatre sessions and posting them on YouTube! We unpacked all the equipment and Andy, Tim and Gordon Wheeler (@GordonTGopher) started setting up the meeting room in preparation for the programming workshop for kids. This was our first workshop and it had taken an awful lot of organising! Through sponsorship from ComputerLinks (thanks Matt Manning! @RaspPiBeginners) and ADP (thanks Tim) we had managed to get 16 Pi workstations together (with 4 spare Pis in case of mishap). This gave us the ability to run enough Pis for 32 kids – two per Pi. While the guys were busy in the meeting room, myself and some of the other “Jam Makers” (our name for people who set-up and marshal at the event – think Olympic Games Makers, but geekier) started to clear and arrange the main foyer area and mezzanine level with tables for the marketplace and show-and-tell. Our caterer (Crazy Cow Catering @crazycowcaters) arrived soon after bearing sandwiches, drinks, snacks, a monster of a microwave oven and a cake… But more on the cake later… I know, I know, the tension is palpable. Around 10.30am, kids, parents and teachers began to arrive for registration for the workshop. Now it started to get exciting – there was a real buzz in the air. Everyone turned up who should have done (including a large party from Ivy Chimneys Primary School in Essex) and we even had a couple of extras. Soon enough, they were all in the meeting room, split up into pairs in front of a Pi and ready to rock. Alex Eames (@RasPiTV) was in charge and we had lots of helpers wandering around the room offering assistance where it was needed. Here’s a photo that I shot at the entrance to the meeting room when the workshop was well underway. Alex is sitting on the right hand side with Boris Adryan (standing, pointing). Boris had brought his kids along and was one of the workshop helpers. Because of having to sort everything out in the foyer, I didn’t see much of the workshop in action. 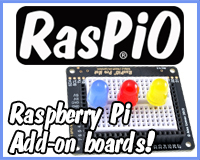 However, Alex has blogged about his experiences leading the session over at RasPi.TV. The first half of the workshop was to get the kids introduced and comfortable with Scratch. They used the Getting Started worksheet from MIT and a couple of the worksheets kindly provided to us by Code Club (thanks to Laura Kirsop for sorting this out for us!). They then moved onto using Scratch with a GPIO add-on board called the Pibrella. 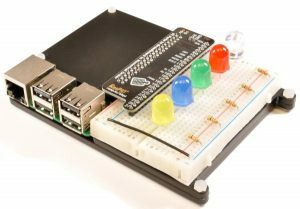 The Pibrella is a fantastic little board from Cyntech and Pimoroni. 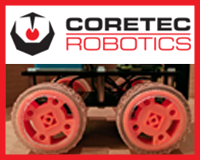 It gives you access to three LEDs, a button and a buzzer. What more could a grown man… err… I mean budding programmer… want 🙂 We were very lucky to have been given a batch of Pibrellas for use at the Jam and we’re indebted to Cyntech and Pimoroni for their generosity. The kids really took to the Pibrella and were able to use ScratchGPIO to program them. ScratchGPIO is a special version of Scratch written by Simon Walters. Simon had finished adapting his code for the Pibrella only days before, but it was just enough time for me to write the worksheet which got the kids started. They had enormous fun doing the worksheet and then they went decidedly off-piste by changing their code to do what they wanted. This was fantastic to see as it proved that all you have to do is to plant the seed of an idea in the mind of a budding programmer, stand back and watch it grow. At the end of the session, the kids had a surprise. The guys at Cyntech had turned up bearing gifts. Each child received a Snap Circuit kit! Around 12.15pm, people started to arrive for the afternoon session. We’d sold more tickets this time (those under 16 are given free entry – why should we charge kids for them to learn?) and we ended up with around 170 attending the Jam (including those staying from the workshop). I reckon next time we should be able to take more. Zachary Igielman had brought along his autonomous car which moved itself around an arena, avoiding walls. 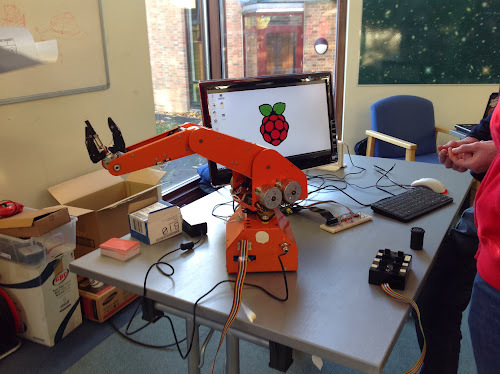 Richard Morris had brought along his Pi-controlled industrial robot arm. 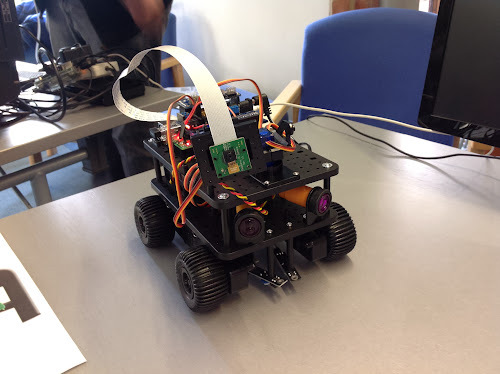 Ryan Walmsley had brought his remote control car which was powered using his new motor controller board. 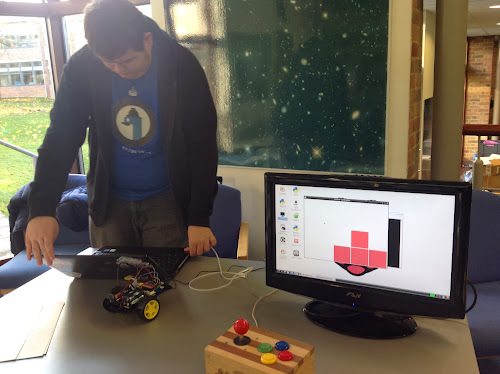 Ian, Andrew and Victor Suttle had brought along their Pi with some of their experiments in Scratch. Matthew Timmons-Brown had brought along his loaded-with-sensors remote controlled truck. At 1pm, everyone piled into the lecture theatre. I did the usual safety announcements and then Tim took over and told everyone what had happened in the morning at the workshop. We then started our first block of presentations. 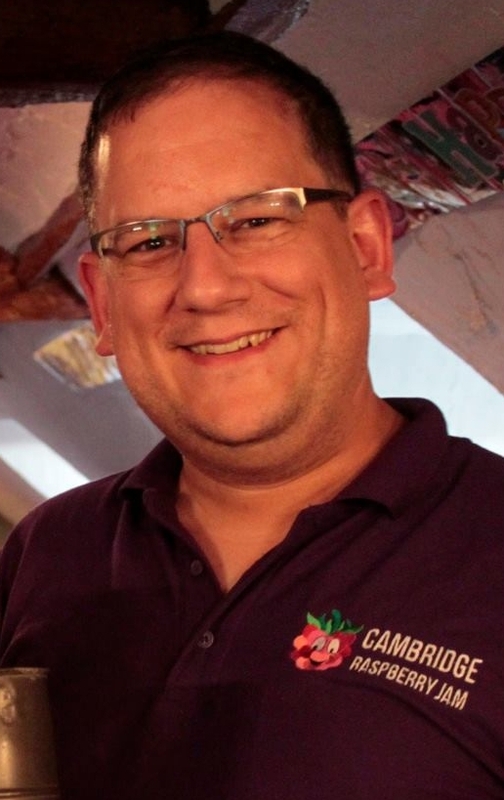 First up was Matthew Timmons-Brown (The Raspberry Pi Guy) who was giving the keynote – Journeying Through Pi. He really was a great speaker (he’s 14 and already he presents better than most adults!) and you can watch the presentation below. He took us through his experiences with the Pi, how he went from a user of consumer electronics to a programmer and tinkerer and running his own YouTube channel. and then we had Alex Eames (RasPi.TV) and Dave Mellor (from Cyntech) talking about the HDMIPi screen, the affordable HD screen for the Pi. We got to see the prototype screen and they revealed some of the additional features that the screen will have (including an additional HDMI input port). The Foundation are soon bringing out an official power supply for the Pi. This is so that people can be guaranteed to get a micro-USB power cable that will work with the Pi. 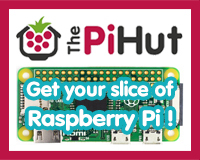 An intern with the Foundation has created a board that allows the Pi to accept HDMI input via the CSI camera port. The DSI port, which is the other port on the Pi that looks like the camera port, will soon get a screen. This has been much-delayed and desired by the community and it’s great to hear it’s finally coming out. It’s great to get an update ‘from the horses’s mouth’ as it were. At the same time as Gordon’s talk, Ciseco were running a hands-on workshop with the RasWIK in the meeting room. The RasWIK pairs a GPIO board with a wireless Arduino board allowing you to wirelessly, for example, take sensor readings with the Arduino and transmit them back to the Pi. The range is quite substantial, depending on sight-lines. Apparently the workshop was a great success and we’re glad we were able to facilitate it by leaving all the Pis set-up from the morning session. We then had a break from presentations, giving everyone the chance to look around the marketplace and show-and-tell. We also had another session in the meeting room. Jim Darby ran a special session for those people who had just got a Pi and wanted to know how to set it up and get started doing something useful. It was quite popular and it’s something we’ll probably do next time as well for anyone who got a Pi at Christmas, for example. After the break, our next presentation was from Carrie Anne Philbin. Carrie Anne runs a YouTube channel called Geek Gurl Diaries. She is also the author of a fantastic new book for the Pi called “Adventures in Raspberry Pi“. Later on, she did a book signing! But back to the presentation. 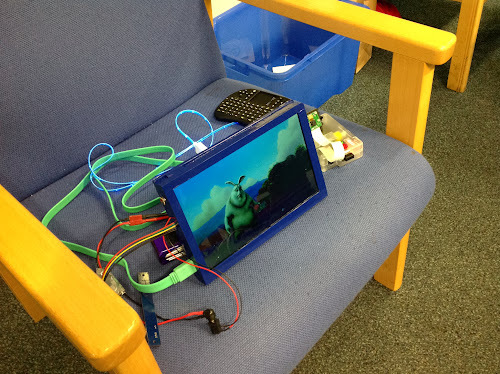 Carrie Anne has been developing a new package of work for schools based around Sonic Pi. Sonic Pi is a rudimentary programming language developed by Sam Aaron (based on Ruby) that allows you to create sound sequences quickly and easily. 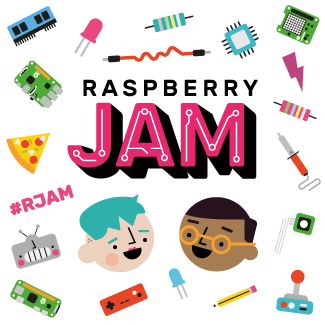 At the next Jam, Carrie Anne will be leading the kids programming workshop using Sonic Pi, which is exciting. Anyway, here’s her presentation. Apologies if the sound is a bit quiet, I was a doofus and forgot to wire her up for sound. Of particular note is the reception Carrie Anne received at her first Jam – apparently sexism is not dead in the world of computer science. This needs to change. Next up was Ryan Walmsley from Ryanteck. He’s a 17-year old who has just set-up his own business. He presented his first product – a budget motor controller board able to control 2 DC motors. It’s a lovely board as it has been designed to do one thing, and do it well. At the same time as Ryan’s talk, Jamie from The Pi Hut ran a workshop on setting up wi-fi on the Pi. We then had another break to mingle, shop and look at show-and-tell. It was around this time that we realised that no-one was running one of the workshops coming up in the meeting room, so I was nominated! Fortunately, it was “Hands on with the Pibrella” so I ran the Scratch workshop from the morning using the same worksheet. Next up in the lecture theatre was Phil Howard (@gadgetoid) who gave a talk on the Pico Piduino, an Arduino-compatible breadboard project. It turned into more of a discussion about various types of Arduinos and the benefits thereof. At the same time, Nevil Hunt from Innovations in Education gave a hands-on demo of the Seven Segments of Pi. This is a lovely little board which is comprised of a large (and I mean large) seven-segment display and a button. It’s a great educational tool as it has the two things you need for games creation – a controller (the button) and a display (the seven-segments). There’s a website that tells you more about it here. As is customary for Raspberry Jams in general, we sent a feedback questionnaire out after the Jam. We received 43 responses (representing about 60 people – a lot of people responded for groups) and we got some great feedback, both positive and negative. It’ll really help us to plan the upcoming Jams. Speaking of which, the next Jam will take place at the Institute of Astronomy on the 8th February. Myself and Tim look forward to welcoming some of you to the event! Brilliant page. Gordon’s Raspberry Pi HDMI board would make an excellent digital video recorder for the Canon EOS 5D Mk III camera. The camera’s HDMI can output uncompressed 1080p HDMI video, at good-enough-for-broadcast quality. 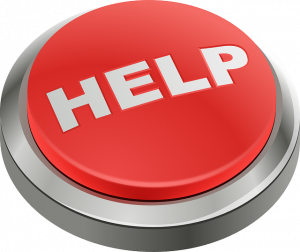 The video files saves to the camera’s memory cards are always compressed, and are a slightly lower quality. Therefore, all film makers will need a digital video recorder, if they want to be able to sell their output to either film studios or broadcasters.